I think we didn’t do anything in Tagaytay but to eat and eat and eat which is why I am personally calling this city as the gastronomy capital of the Southern Tagalog. With the myriad of restaurants to choose from, it’s hard to maintain a good diet in this place. How can you say no when you have incredibly delectable dishes served in front of you? Exactly what happened to me when the Greek Mister and myself had dinner with my family at Mesa Restaurant a few hours after we had lunch with my friends at Mahogany Market. I told myself that I won’t eat anything since I was still full from our lunch but then when I saw these dishes, I forgot that I had lunch. 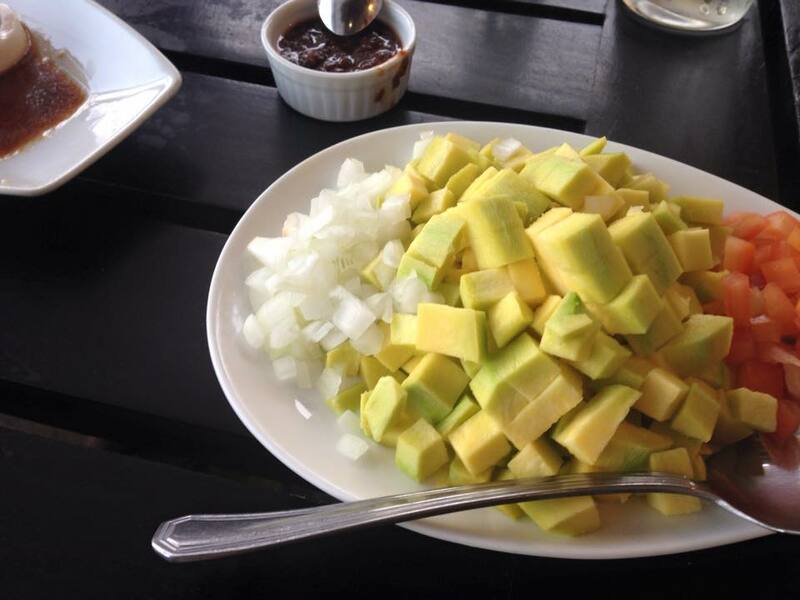 Ensaladang mangga is a staple side dish for me whenever it’s available in a Filipino restaurant we’re dining in. It’s basically green mango, onion and tomatoes with shrimp paste. Yum! That was of course the star of our dinner, grilled everything! The seafood in that sampler was so fresh but of course, I can’t pass up my chance to try out the grilled pork barbecue. Yummmy! We ordered some other dishes which I forgot to take a photo of including the tinapa fried rice – a must have if you’re in Mesa Restaurant. pandan crepe? that’s new to me.